CMHA NS presents: A special talk with author Dr. Jospeh Sadek- UPDATE: EVENT HAS BEEN POSTPONED DUE TO WEATHER. PLEASE STAY TUNED FOR NEW DATE. 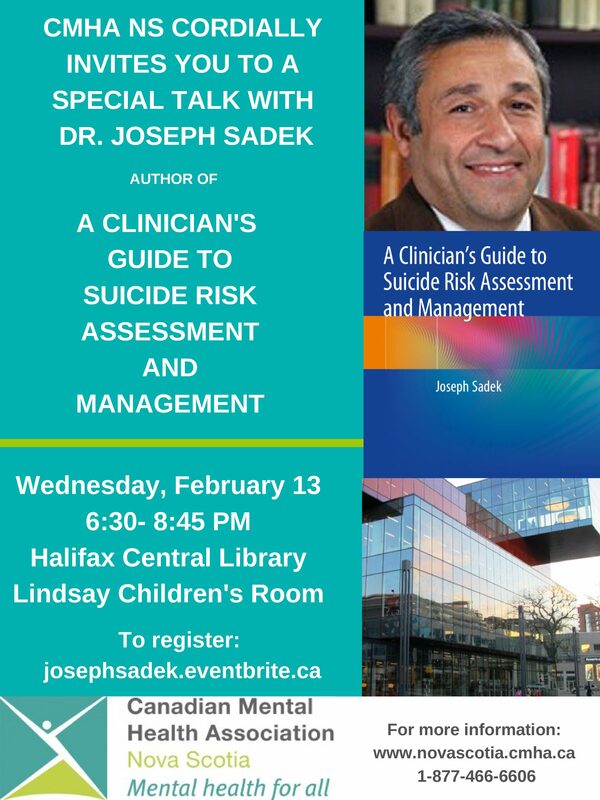 CMHA NS cordially invites you to a special talk with Dr. Joseph Sadek- author of A Clinician’s Guide to Suicide Risk Assessment and Management. Join us on Wednesday, February 13 at the Halifax Central Library. This event is free but registration is required.